One of Kent Mueller's most noteworthy creations still in use today is the “Convert To” feature on Microsoft Word, allowing files to keep their full functionality while changing to another file format. 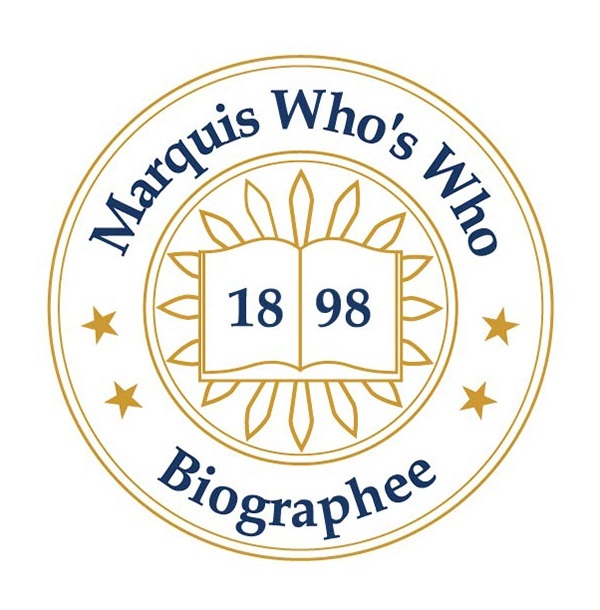 PARADISE VALLEY, AZ, September 20, 2018 — Marquis Who's Who, the world's premier publisher of biographical profiles, is proud to present Mr. Mueller with the Albert Nelson Marquis Lifetime Achievement Award. An accomplished listee, Mr. Mueller celebrates many years' experience in his professional network, and has been noted for achievements, leadership qualities, and the credentials and successes he has accrued in his field. As in all Marquis Who's Who biographical volumes, individuals profiled are selected on the basis of current reference value. Factors such as position, noteworthy accomplishments, visibility, and prominence in a field are all taken into account during the selection process. A computer industry executive, Mr. Mueller has excelled in his field. Prior to starting his career, he earned his Bachelor of Arts in mathematics at Westminster College in Fulton, MO, in 1962, where he has been a Trustee since 1994. Currently, Mr. Mueller serves as the president and chief executive officer for Kent Mueller Ventures, a high-technology oriented investment fund he founded in 1996. A natural leader and exceptional businessman, Mr. Mueller has opened businesses in addition to Kent Mueller Ventures. He founded Silver Bullet Systems in Paradise Valley, AZ, serving as chairman from 1985 to 1986. Additionally, Mr. Mueller was the founder and president of Mastersoft, Inc., in Phoenix from 1983 to 1996. Mr. Mueller has held other positions during his career. He has served as chairman of the Microtest Corporation in Phoenix from 1998 to 2001 and has offered his expertise as a lecturer at Arizona State University from 1984 to 1986. Mr. Mueller held the post of vice president and general manager for Capex Corporation in Phoenix from 1980 to 1983. Lending his time and talents to Intel Corporation, Mr. Mueller has held multiple positions for the company. He worked as of director of field operations in Phoenix from 1978 to 1980 as well as national sales manager in 1976 and director of marketing and sales from 1975 to 1978, both in Santa Clara, CA. Mr. Mueller also served as regional manager of Intel's Chicago region from 1975 to 1976. Immediately after graduating from Westminster College, Mr. Mueller began his time in the computer engineering industry, working with McDonnell Aircraft as an in-flight test data engineer. Learning how to program the company's International Business Machines computer, he contributed greatly to the company's in-flight test data logging process. Mr. Mueller served as a second lieutenant for the United States Army in Incheon, Republic of Korea from 1963 to 1965, working for the International Business Machines Corporation upon his return. Following his time with International Business Machines Corporation, Mr. Mueller worked for the Ampex Corporation before creating his own company and revolutionary products. One of his most noteworthy creations still in use today is the “Convert To” feature on Microsoft Word, allowing files to keep their full functionality while changing to another file format. Mr. Mueller licensed this technology, among others, to hardware and software companies all over the world, expanding the digital world and allowing others to benefit from his expertise. Lauded for his accomplishments, Mr. Mueller has been awarded multiple awards, having been on Inc. Magazine's list of The 500 Fastest Growing Companies in the United States. He received a Doctor of Humane Letters in 2017 and a Distinguished Trustee Service Award in 2013, both from Westminster College. He won the Inc. Magazine Alumni Lifetime Achievement Award in 1993 as well as the Inc. 500 Award from 1992 to 1994. Additionally, Mr. Mueller was named Arizona's Entrepreneur of the Year in 1994. Mr. Mueller has been featured in multiple publications, including various editions of Who's Who in the West and Who's Who of Emerging Leaders in America. During his free time, he enjoys collecting antique cars and golfing. Mr. Mueller holds membership with the Desert Mountain Golf Club, the Paradise Valley Country Club and the Capital Canyon Golf Club, all in Arizona. In recognition of outstanding contributions to his profession and the Marquis Who's Who community, Mr. Mueller has been featured on the Albert Nelson Marquis Lifetime Achievement website. Please visit www.ltachievers.com for more information about this honor.